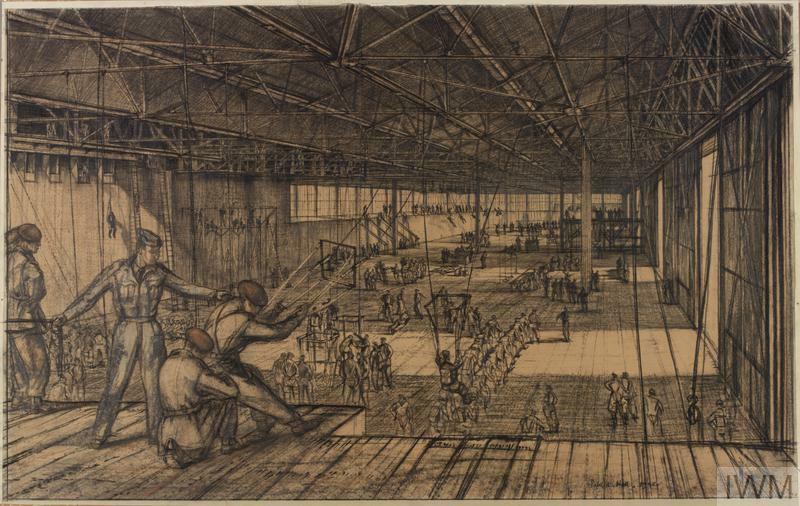 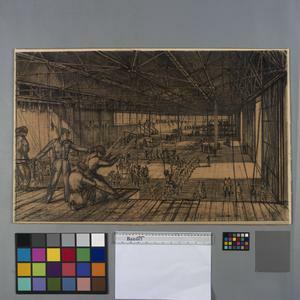 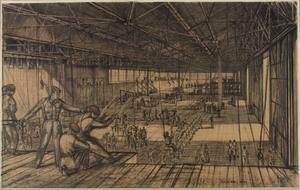 image: a lengthways perspective showing an interior view of the training of paratroopers in an enormous hangar designed for the purpose, at the Parachute Training School at Ringway in Cheshire. 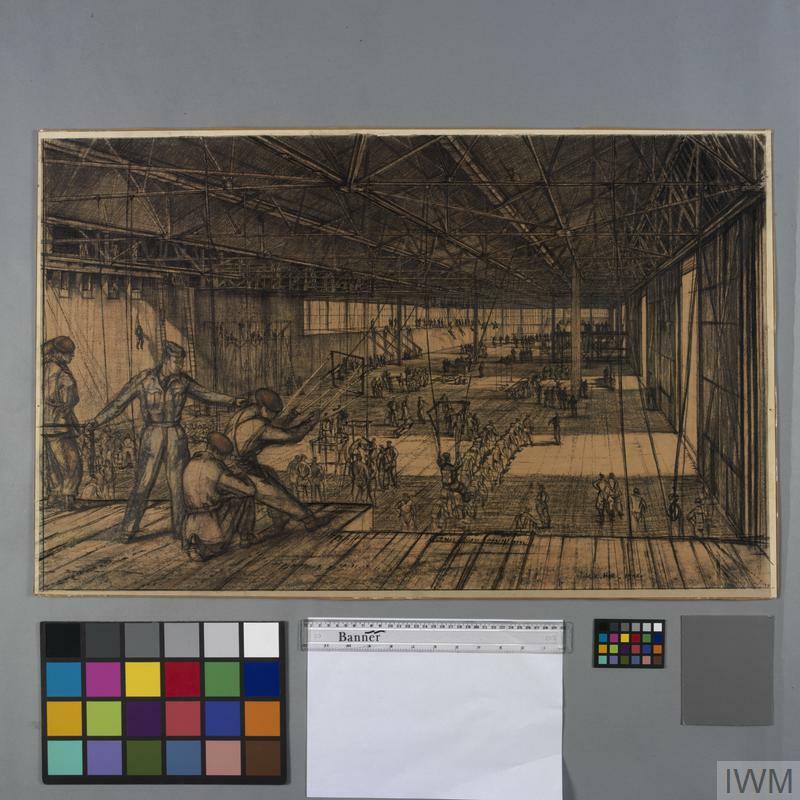 In the foreground a paratrooper is being released from a high platform to the ground, using a parachute mechanism suspended from metal runners that form part of a framework near the ceiling. 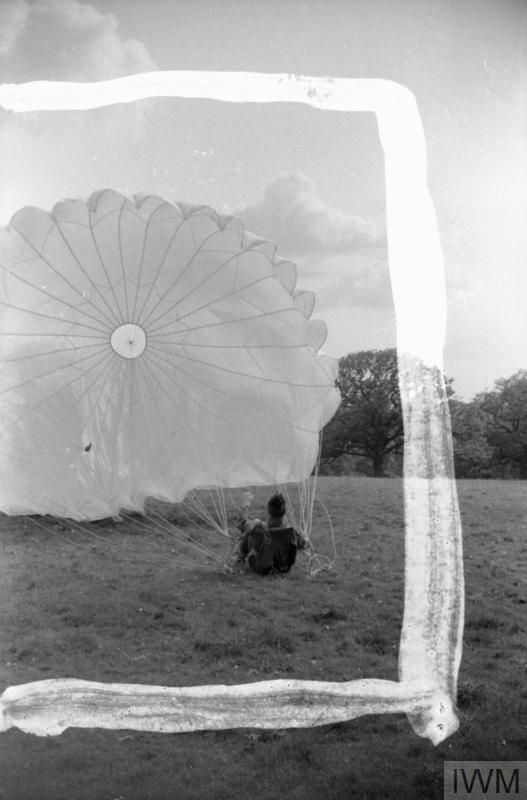 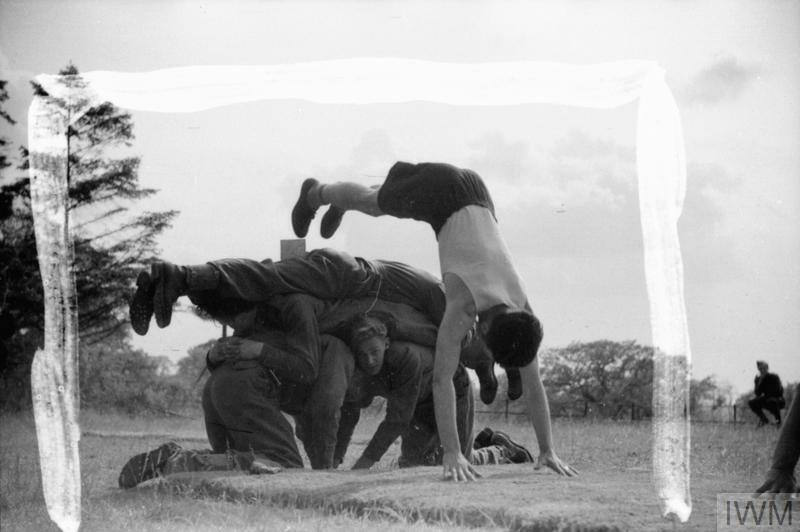 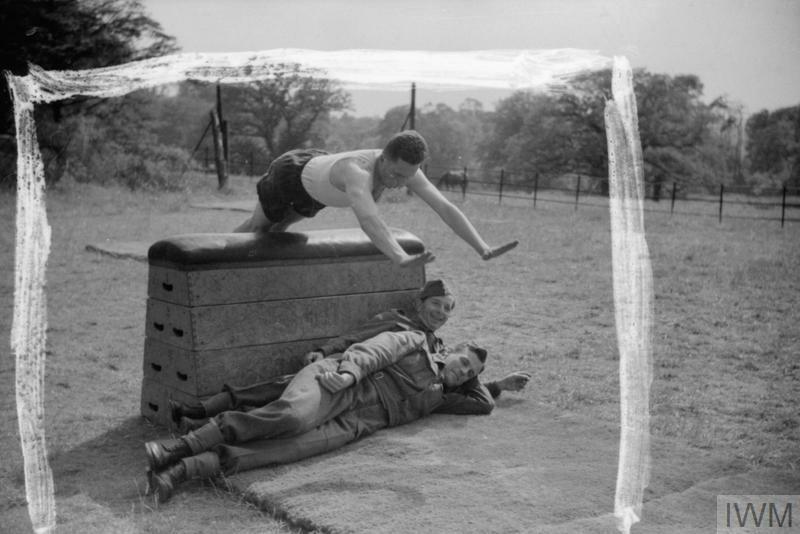 Below him and in the distance, paratroopers are undergoing a variety of training.